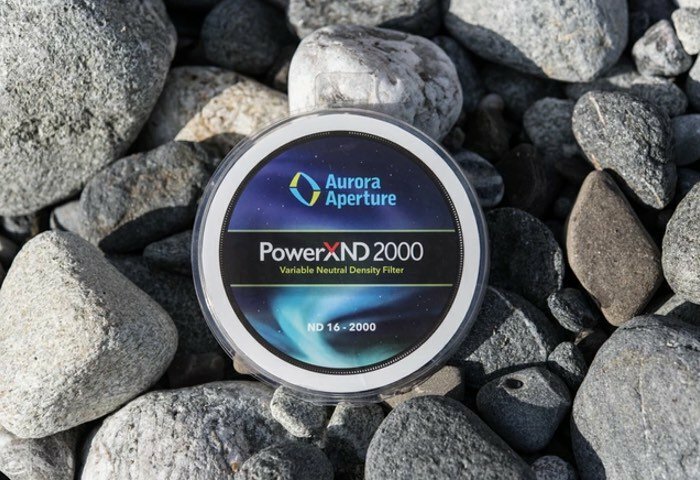 Photographers looking for a variable ND filter that offers up to 11 stops might be interested in a new filter created by Aurora Aperture called the PowerXND 2000. Check out the video below to learn more about the inspiration behind the slim frame profile filter which provides light stopping power when compared to others on the market. With the best light reduction and resolution capabilities, PowerXND 2000 filters can be used in a wide variety photography as well as video applications. It’s one filter that can replace multiple fixed ND filters. The PowerXND 2000 has 11 stops (ND 2000) of light reduction capability which has been only available with a few fixed neutral density (ND) filters until now. Designed in California, the PowerXND 2000 has an innovative filter frame design which reduces the overall volume of the filter. This reduced profile is important for keeping vignetting to a minimum on wide angle lenses. The filter frame of the PowerXND 2000 is optimized to reduce height and volume. With a filter height of 5.5mm when mounted on a lens, the PowerXND 2000 is about half the height of other variable ND filters and has a smaller overall volume. The PowerXND 2000 project is currently over on the Kickstarter crowd funding website looking to raise just $8,000 in pledges to make the jump from concept to production. So if you think PowerXND 2000 ND filter is something your photography could benefit from, visit the Kickstarter website now to make a pledge and help PowerXND 2000 become a reality.